For those of you who aren’t following us on Instagram (it’s Hard12Brews – so if you’re not going ahead and make that change), we want to let you know that the latest brew happened this past Sunday. 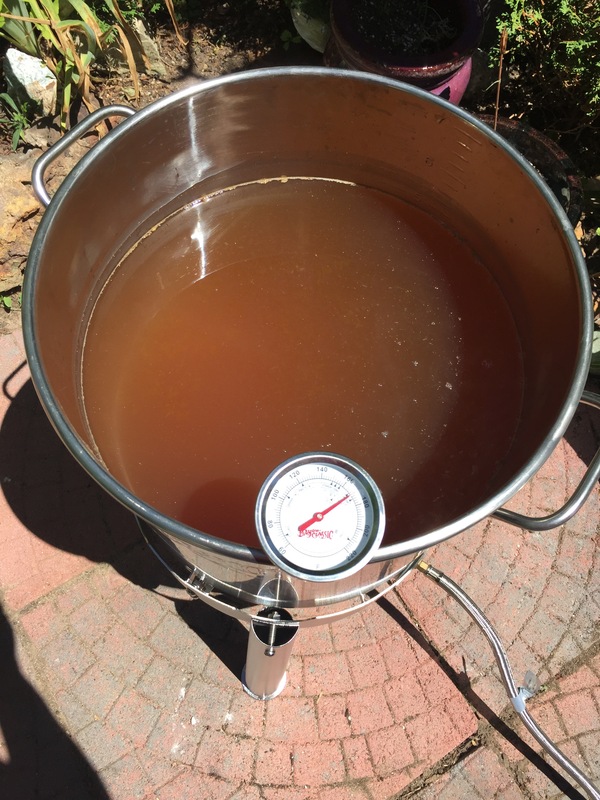 This is the first major attempt at brewing a 5-gallon beer in the warm weather and to match the weather we went ahead with a Pale Ale. This will probably be the last kit we use – next time will be on a recipe but we will be sticking with extract brewing. 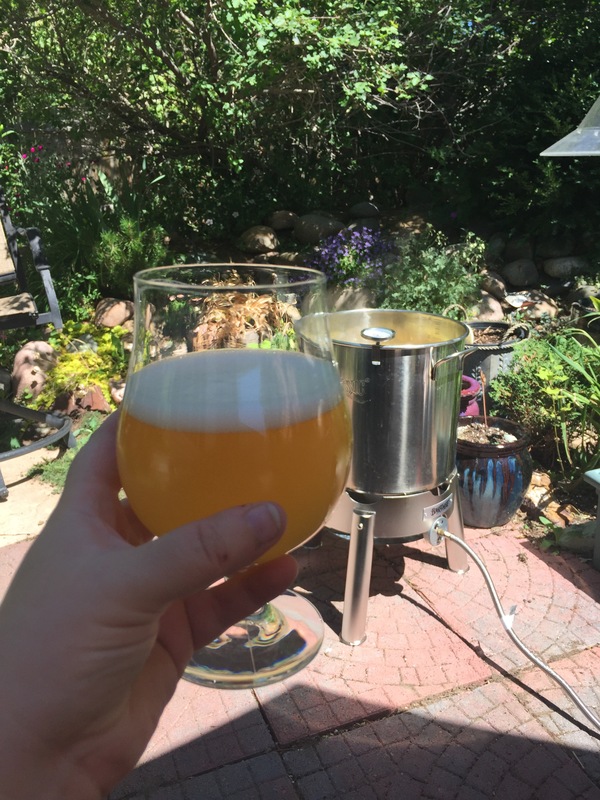 Lesson learned – in the summer it’s far better to get up way earlier than you want to (have a breakfast beer) and brew when it’s cooler. Fortunately, with our trusty umbrella and diligent watch, we were able to keep all of the temperatures in line. Also due to soaking the LME (liquid malt extract) in hot water we were able to more of it out of the container. All the way around the boil went well. The OG (original gravity) was also on point. The last time we brewed when the heat was on we ended up with some very unhappy yeast and that was just a one gallon batch. There was some concern that the brew heated up a bit much after we pitched but 24 hours later through now the yeast is going strong. It’s even better than our last batch. I just hope the extreme heat we are experiencing doesn’t sneak in and mess it up. I have the room it’s in all setup but there’s no guarantee. While many don’t I am still (for now) a fan of re-racking the better once the initial fermentation slows down which will be in the next couple of days. Thankfully the temperatures should lower a bit for the rest of the process leading up to my favorite (said with sarcasm) part – the bottling.